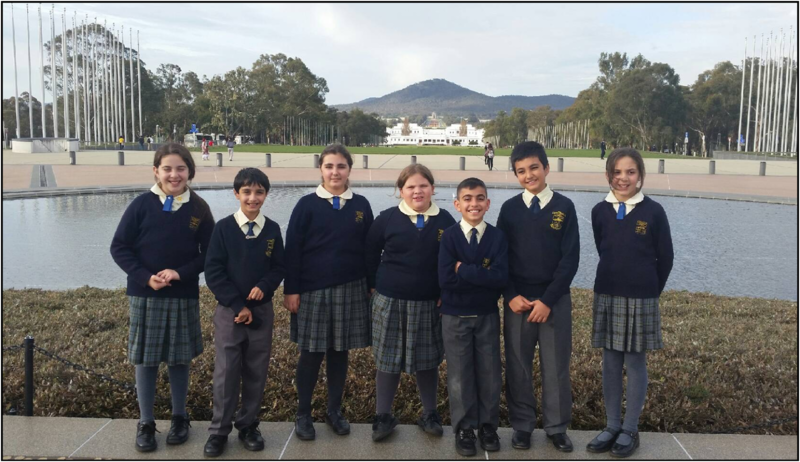 On a Monday morning the 15th of September, Year 5/6 woke up an hour earlier than usual to catch the bus to Canberra. We made it to the bus stop and only waited a few minutes before the bus arrived. After watching two movies on the bus we had already reached our first destination. We were so excited that we finally made it to our first destination, The National Film and Sound Archive. Our tour guide explained about the old cameras and films. Then we watched some old films and damaged clips. 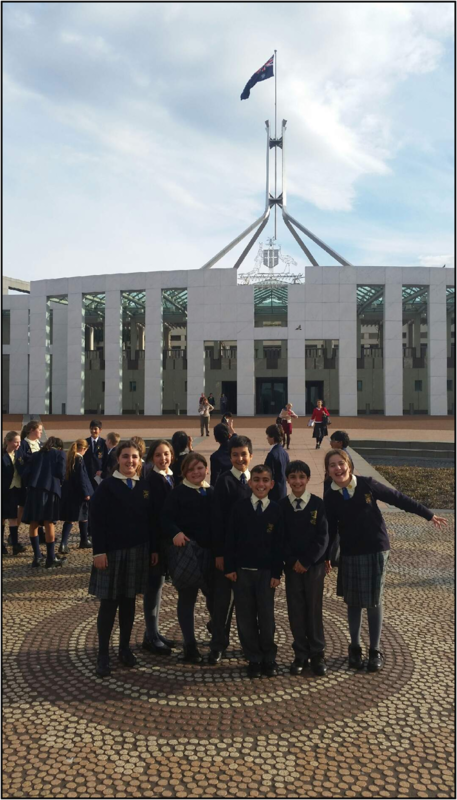 After that we went to the famous Parliament House. We first went to the Great Hall where a huge 20 metres wide by 9 metres high tapestry covered the whole wall. We then went to the Senate. Unfortunately it wasn’t a sitting week. Then we went to The House of Representatives which was followed by a mock parliament where we pretended to be politicians. At the end of the day we checked into Camp Cottermouth. The boys and the girls were in different cabins and were rooming with John Colet students. After we had dinner. Past students had said that the food at Canberra is not nice, but they were proved wrong, it was surprisingly delicious! We then watched a movie and went to bed. We woke up quite early in the morning. We got dressed and saw the cute kangaroos eating grass. We then had breakfast and set off for the Australian Electoral Commission which was at the old Parliament House. We took a walk in the Senate and the House of Representatives gardens because there was a group that went in before us. 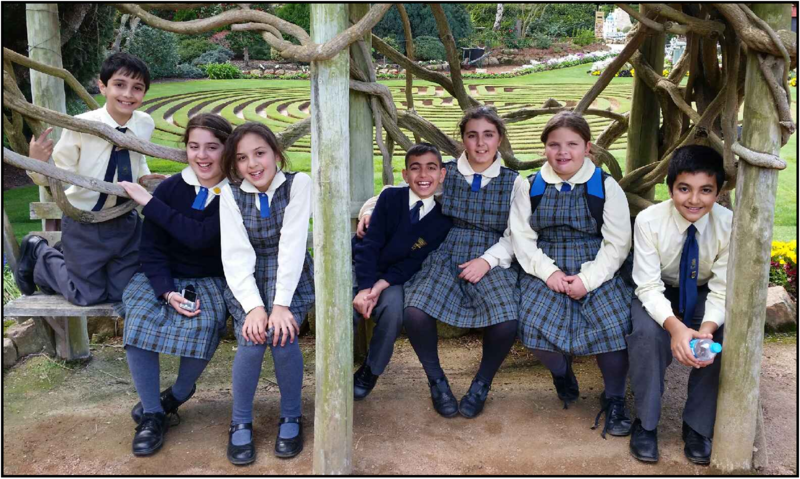 We also had recess in these beautiful gardens. At the AEC we watched a film about democracy in Australia and then we went to a room where we had different stations to study the voting process. Then we had a turn to try out the preferential voting process by engaging in a mock election. After that we went to the National Museum of Australia where we saw all sorts of art works and historical things like planes, trains, dinosaurs and Australian native animals. Next we went to Cockington Green. Before we went in we had our sandwiches that we had made ourselves after breakfast. Once we finished we entered the building and we saw many miniature models of houses, stadiums and international monuments. Once we saw all of the models we shopped at the gift shops and made our way out. Next stop was the Australian War Memorial. We looked at all of the wars that Australia has participated in. We looked at the World War I and World War II displays. We then laid down a wreath next to the pool of reflection. Then we went back to camp where we had another delicious dinner. Then we went to our cabins but before we went to bed we played “murder in the dark” with our John Colet friends and then it was lights out. This morning when we woke up we were all sad that we were leaving but happy that we were going home. Today’s breakfast was pancakes and they were the most delicious meal yet! We then packed and we were off to Questacon. It was so fun. We went to the shop first and bought many different science games and trinkets. Next was the Australian Institute of Sport. It was better than we imagined. We were shown around the many sporting venues by an AIS athlete. There was also an interactive place where we could practice some sports on equipment and interactive video games. Before we knew it the Canberra trip was over and we were going home. We all had a great time, seeing and learning lots of new things and making many new friends.